Polar Class 6 means the cruise vessel can sail summer and autumn voyages in medium first-year ice which may include some older ice. In other words, Quark Expeditions’ new Arctic ship can sail all waters around Svalbard and Franz Josef Land and the west coast of Greenland. First voyage, however, will go to the Antarctica summer season in late 2020, early 2021. 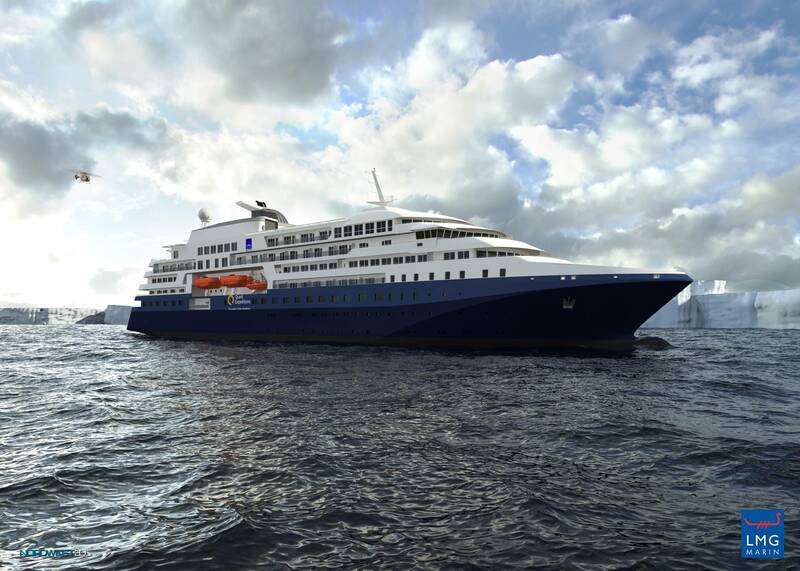 Like many of the other new polar expedition ships currently under construction, also Quark’s new ship will feature luxury above average for cruise vessels. On top, there are two simultaneously operable helipads for bringing passengers into remote areas on the ice or other beauty spots. For safer and more comfortable disembarkation at locations without port facilities, the ship will have an internal hangar for 20 Zodiacs. Details are provided by Brodosplit, the yard in in Croatia set to build the vessel. In the Arctic, Quark Expeditions is most known for its North Pole tours with Russia’s Murmansk based nuclear powered icebreakers. The company also has its own fleet of four (soon five) polar expedition ships sailing both the Arctic and in Antarctica. There are currently a boom in construction of new expedition ships capable of sailing to icy waters in the Arctic. Last month, Barents Observer published an overview showing 28 new expedition ships, of which the majority are ice-classed and built to meet the new polar code rules for shipping in the high north. As a business model, sailing in the north builds on the idea that bringing people to unique new places like the Arctic can be charged with very high prices if the vessels are small enough to offer a feeling of expedition, simultaneously as they offer exclusive luxury and a sense of safe operations.